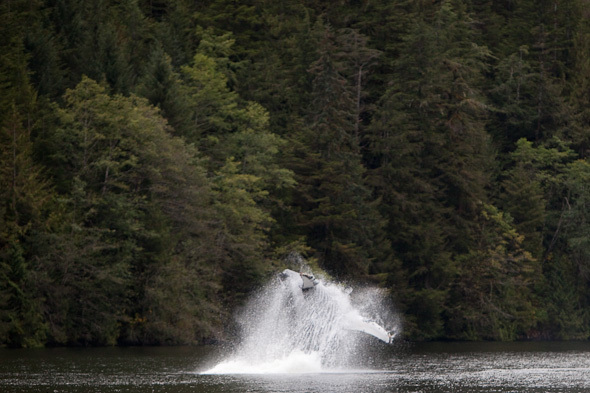 Earlier this month I had the opportunity to visit the Great Bear Rainforest. The GBR, originally known as one of the most special places in British Columbia and home to the illusive spirit bear, one of the major photographic goals of my trip, sadly has recently become a place which has received less positive media exposure as the object of desire of Alberta’s Enbridge company which is planning to end its Northern Gateway oil pipeline in Kitimat, just outside the Great Bear Rainforest. As if this was not bad news enough in itself, considering Enbridge’s record of leaky pipelines and a general tendency towards hubris in our species, Enbridge furthermore plans to send super tankers down the coast, a body of water which has a reputation of being exposed to really severe weather conditions and is difficult enough to maneuver even in favorable conditions. The idea behind all this is to open the Asian markets for Canada’s tar sands, which in themselves are another major environmental concern. Staying with the topic of having around 225 oil tankers a year cruise up and down a rough body of water along a pristine ecosystem, however, I do not believe that it takes a genius to figure out that this is calling for trouble (besides continuing the great Canadian tradition of trampling Native land claims under foot) – trouble that could easily reach the proportions of the Exxon Valdez catastrophe in the late 1980s when one of the ships runs on ground as it is bound to sooner or later. If you are as concerned about this as I am, Pacific Wild’s website might be a good place to start, but there are literally dozens of other groups opposing this madness, offering petitions to sign etc. Now to my trip, though. It would be an understatement to say that the trip exceeded my expectations. Among the highlights were the chance to see and photograph spirit bears (initially a somewhat hyperreal experience considering how much I had read and image-searched earlier, but eventually a very special moment), see four humpbacks breaching almost in perfect synchronicity literally 30 or 40 meters from our boat, photographing coastal wolves (though from afar), seeing and photographing my first pine marten, and finally witnessing one of the most obscenely gorgeous photographic scenes I had ever seen: grizzlies in front of a rain forest scene with the early morning sun burning away the fog; a scene so perfect one could not have improved it with a brush and canvas – oh, and did I mention the two eagles sitting in the tree to the left? Anyway, I will be silent so you can have a look at my images. There are more images from the trip on my website. 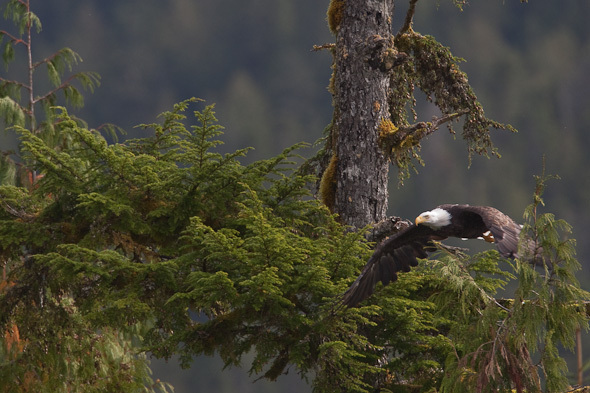 A bald eagle taking off. 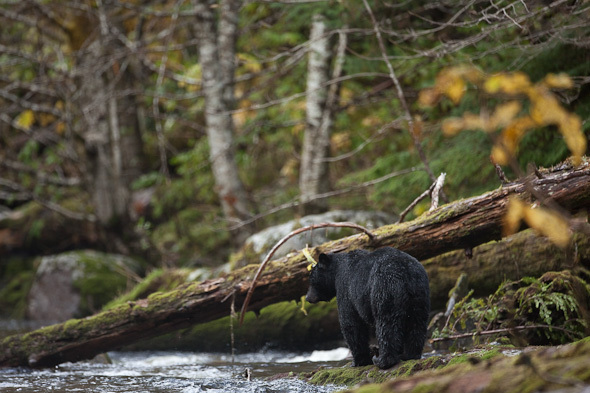 Black Bear on Gribbell Island. My first spirit bear. 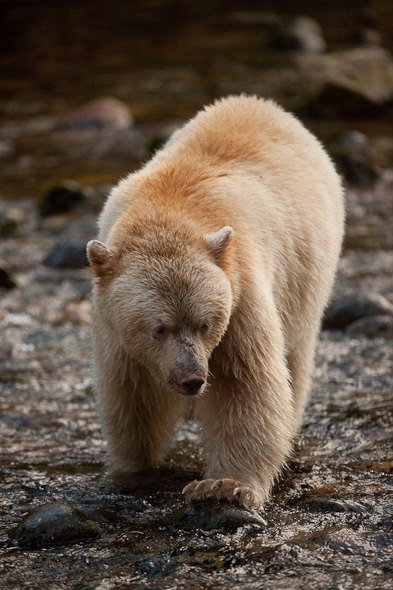 Spirit (or Kermode) bears are black bears who carry a recessive allele that gives some of them white fur. There are only a couple white hundred individuals, most of them around Princess Royal Island. 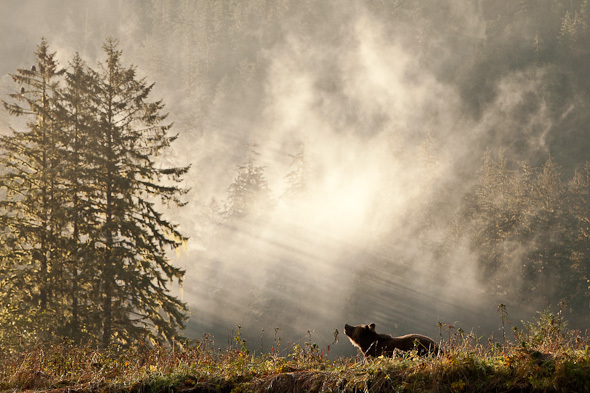 Grizzly Bear in the Great Bear Rainforest. 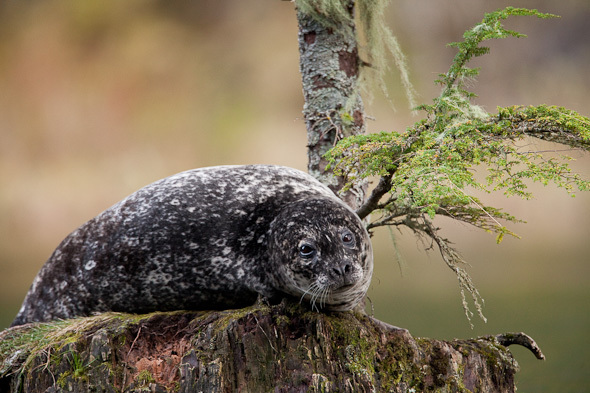 The first (and possibly last) arboreal seal I have ever seen. Coastal Wolf in Rescue Bay. 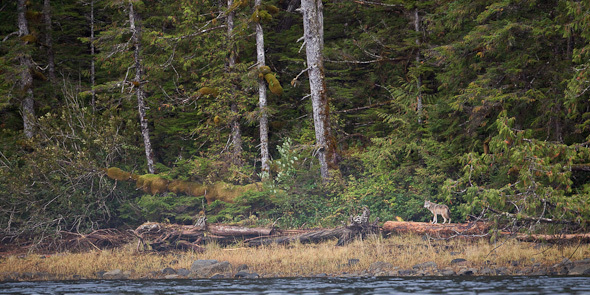 These wolves fish for salmon along the creeks and are pretty damn elusive. 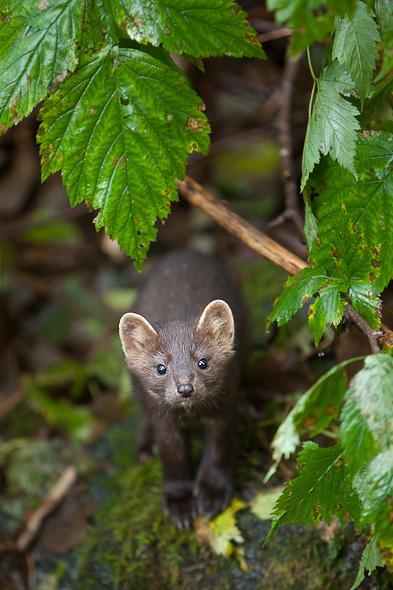 This image was taken with my 500 mm lens, but nevertheless turned out to be more of an animal scape.